How do I know which security camera system to get? 24 Jul How do I know which security camera system to get? 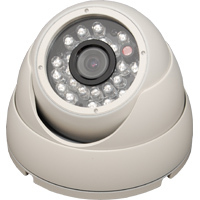 There are many options for video surveillance now a days. If you do not know the options you may purchase a system you regret. a Digital Video Recorder(DVR) or a Network Video Recorder (NVR). This camera system would most likely be wired with wires going from each camera to your recorder. 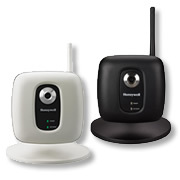 The simpler and less expensive option is to choose a wireless IP camera that records online. This saves you the cost of needing to purchase a DVR or NVR, but it does require a monthly cost to have it recorded online. It also saves you the cost of installation if you choose a wireless WiFi camera since most people can install them on their own. Since they just need to be plugged in many people that get the wireless Wifi cameras like the flexibility of being able to move them to look a different direction or to move them to a different room. Some do not want to have the monthly cost of $20-$35 a month for 1 to 6 cameras. They would want to purchase the DVR (or NVR) and then when it records it can be at their own home or business on a hard drive. If you want to view the cameras when you are away you will need a high speed internet connection. You can view either system remotely, but it is much easier to setup and view the wi-fi cameras that are recorded online. All they need is to be synched to your wireless router with a WPS button. The DVR system is more complex to set up to be viewed remotely. It requires configuring your router to port forward to the DVR from your static IP address. This can sometime be difficult but is usually achievable. Some are looking to have a few cameras in different locations and the cost to put a DVR in each location is more than they would like to spend. Putting a WiFi camera in each area is much more affordable and you can see all the cameras on the same screen on your smart phone or computer still.